The world’s biggest advertiser is seeking to trigger massive change in the digital buying landscape. Hurrah says Tom Denford at ID Comms. Change is coming to the digital ad market. That much can be assured in 2017 because marketing giant Procter & Gamble has decreed that it will no longer put up with the ecosystem as it works today. Chief Brand Officer Marc Pritchard recently told the US IAB Media Leadership conference that he and his company were calling time on current practices. Anyone (agency, vendor tech supplier) who wanted to receive any of P&G's money in future would have to make radical changes by the end of the year. Central to his critique of how the industry works was the need to deliver transparency, reform the complex "crappy" supply chain, adopt common standards on viewability and open up to third party metrics. He accepted that advertisers had to take some of the responsibility for the current situation – even P&G had accepted these compromises in the race for digital firsts – and most had demanded cheap media and lowered fees. The message was powerful not just because it was delivered at the IAB (the trade body, Interactive Advertising Bureau) – around a third of total ad spend goes on digital – but also because of the way it was delivered. The tone was calm, considered but also exasperated and defiant. The challenge was put into the context of the fundamentals of marketing and the challenges for P&G to drive a business outcome. 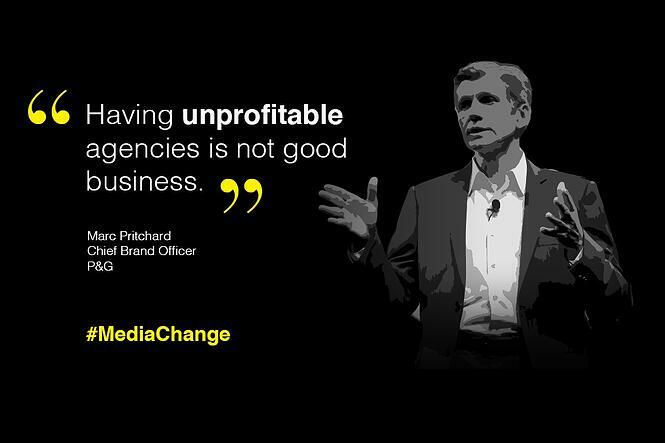 Pritchard’s words carry great weight, not only is he the most senior marketer at the world’s biggest-spending advertiser but he’s also just taken over as Chair of the US marketing trade body The Association of National Advertisers (ANA) which has been working on its own well publisised media transparency initiatives. Many marketers in the US and around the world have been waiting for a major marketer to step forward and take leadership following 2016’s media transparency bombshells and concerns. Some marketers are rightly confused by the sheer complexity of the challenge and don’t know where to start. P&G’s very public roadmap helps them identify the first wins on the journey to a better relationship with the media agency landscape and the digital media supply chain. While this a P&G initiative it's also a call to action for the industry. Other companies now have an obligation to act – and many already are quietly making changes to the way they operate. Marc's willingness for P&G to accept some of the blame for the current situation was welcome, he acknowledged that pushing down agencies fees had been a contributing factor. He called out the issue of agencies acting (undisclosed) as principal in law rather than agent, he recounts agencies admitting that they had to do so because the “your fee doesn’t cover our expenses”. Agencies may have been acting in within the wording of the contract but that doesn't mean they should have behaved in this way. The question the wider global media industry is asking now is "how will other marketers respond", particularly those that don’t have the billion-dollar resources and budget leverage of P&G to make the likes of Facebook and Google behave differently. ID Comms has been promoting the notion of 2017 as a year of CHANGE (join the movement at #mediachange) and we invite everyone, from across the industry to participate with their own thoughts and comments. Future editions of #MediaSnack will consider this story further and look to address your thoughts. 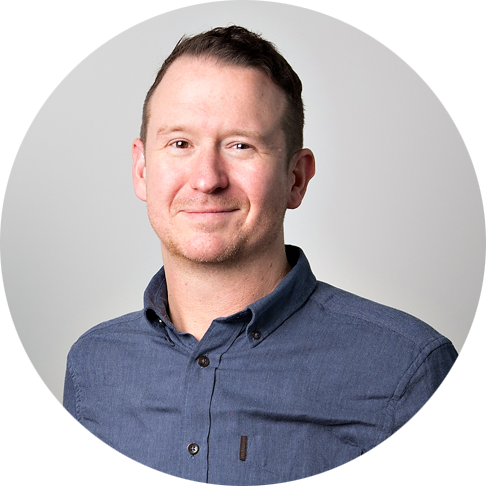 Central to Pritchard’s manifesto was the wider notion that brands needed to change their agency or change their contract to ensure new behaviours become established – while some will pitch their account, others might go down the renegotiation route. True #mediachange is about more than just negotiating new terms. Marketers will need to seriously consider their long-term media governance model, and whether they view media as investment in growth or a cost to be managed downwards. This will impact the behaviour of their marketing organisation and change the relationship with media agencies and the digital supply chain. It’s also worth noting that while Pritchard’s comments were broad, they were especially focused on the digital media business and the supply chain. The ANA’s own research said bad practice was pervasive across TV, Print and Outdoor, not just digital. Expect future Pritchard outings, notably the keynote at the ANA’s Media Conference on March 2, to perhaps provide a wider context to this action plan. The right answers for P&G won’t be right for all advertisers but Pritchard has said the previously unsayable and now every CMO should be considering his words carefully in the coming weeks. Because if P&G can get it so very wrong then so too can every other client. This is the beginning of #MediaChange. Are you in? Please let me know your thoughts in the comments below, share your point of view and join the conversation.